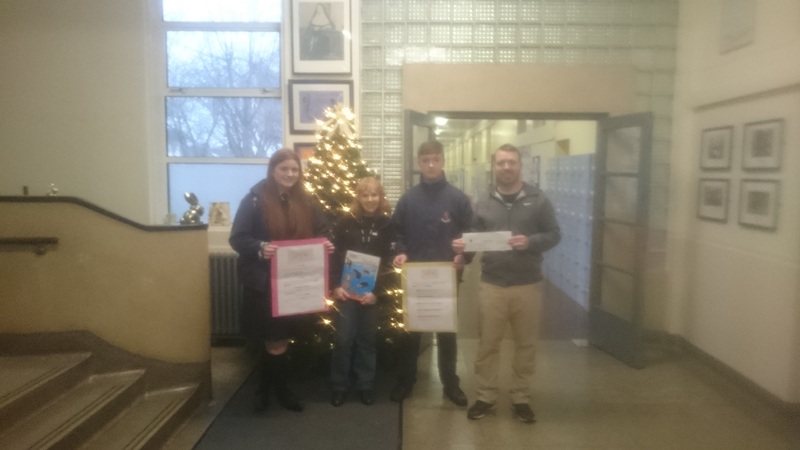 Well done to our 3rd Year class Áine who raised €320 in aid of the DSPCA. They did this as part of their Junior Cert CSPE Action Project. They raised awareness of Animal Cruelty and Animal Rights in the school through their non- uniform day and informative video. They also had a trip to the DSPCA and made lots of informative posters. They have done fantastically, well done Class Áine. They funds were donated by Caoimhe Horgan and Aaron Doyle on behalf of their class.